Did you know that the High Court of Australia was not always the final court of appeal? This is outlined in Section 74 of the Constitution as ‘appeal to the Queen in council’ and is better known as the Privy Council. When the Constitution was being written, many of the people who were involved in the drafting process were against including a section allowing appeals to the Privy Council. So what is the Privy Council, why was it included in the Constitution and how was it eventually abolished? Historically the Privy Council was a body of advisors to the British Monarch, which over time developed into a final court of appeals for courts in the British Colonies. Before Federation cases heard in the courts in the six Australian colonies could be appealed to the Privy Council. The Privy Council is one of the oldest traditions and still exists in the United Kingdom. 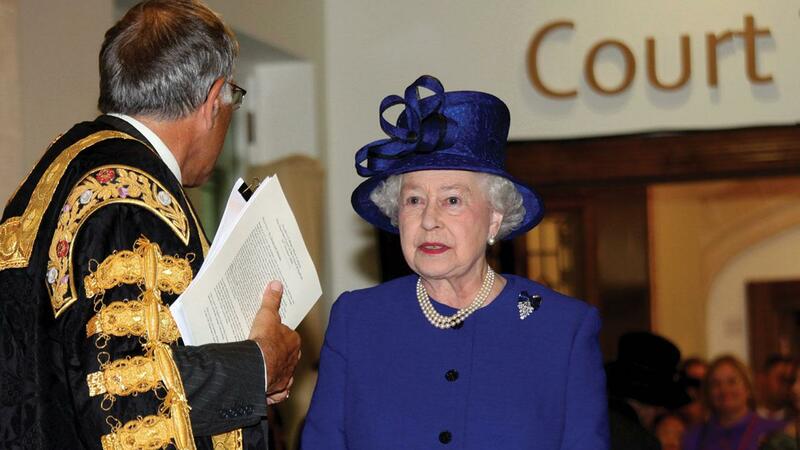 There are some 650 Privy Counsellors to advise the Queen and this includes several Australians. It almost sounds as though an Australian could ask the Queen to personally overturn a decision made by an Australian court. However, this is not the case. The Queen in council refers to the Judicial Committee of the Privy Council, who make a judgement and then advise the Queen. Even using the word ‘advise’ can be misleading as the Queen always acts upon the report given to her by the Privy Council. When the Constitution was being drafted there was quite a lot of discussion between the delegates at the conventions about whether the Privy Council should have any role within Australian democracy. The first draft of the Constitution from 1891 stipulated that appeals from State Courts should be brought to the High Court of which judgements would be final. But that the Queen would have some power to grant leave of appeal to herself in some cases. This remained relatively unchanged until the final conferences where there was a heated debate about whether appeals to the Privy Council were appropriate. Many of those writing our Constitution were against the Privy Council being involved in interpreting the Constitution. They had good reason for this. The Australian Constitution and our system of government is not like any other. So while the drafters of the Constitution had compared and contrasted constitutions from around the world, the final document was truly unique. It was thought that members of the Queen’s council would not know the Australian Constitution well enough to make judgements on it. There was also no consensus about whether criminal and civil cases should be able to be appealed to the Privy Council. Of course there was another side to this argument. The British Parliament saw the role of the Privy Council as a unifier of the English common law throughout the British Empire. The final draft of the Australian Constitution was the product of two Conventions, one in 1891 and one in 1897-1898. That draft was then approved by the colonial Parliaments, and endorsed by a process of referendum. To take legal effect, however, it had to be enacted by the United Kingdom Parliament. The Imperial authorities objected to cl 74 of the draft. There was no process for reconsideration of the draft by the colonial people or their Parliaments. Nevertheless, it was altered, and there is little doubt that Sir Samuel Griffith had a hand in the alteration. In brief, s 74 as enacted provided that there were to be no appeals from the High Court to the Privy Council on any question as to the limits inter se of the constitutional powers of the Commonwealth and the States, unless the High Court certified that the question was one that ought to be determined by the Privy Council. Otherwise, there was to be a right of appeal by special leave from the High Court to the Privy Council, but the Commonwealth Parliament was to have power to make laws limiting the matters in which such leave might be sought. Again, nothing was said to limit appeals from State Supreme Courts to the Privy Council. So the eventual Section 74 was a compromise. Inter se questions could only be appealed to the Privy Council if the High Court agreed, the Australian Parliament could make laws to restrict matters that could be appealed to the Privy Council and nothing was mentioned about the State Supreme Courts. Only one certificate was ever granted, in Colonial Sugar Refining Co v A-G (Cth) (1912). The Privy Councils erratic response….made any repetition unlikely. Geoffrey Sawer observed tartly in 1967 that the Privy Council never had a sufficient flow of Australian constitutional cases to develop a proper understanding of the Australian Constitution, but did have enough to do considerable damage. Because Section 74 was silent about appeals from state courts it meant that appeals to the Privy Council from State Supreme Courts continued after federation. Effectively, litigants could shop around. If a precedent had been set by the High Court, someone appealing a case from a State Supreme Court could instead choose to have their case decided by the Privy Council. This gave litigants a tactical advantage. How were appeals to the Privy Council abolished? In 1968 the Privy Council (Limitation of Appeals) Act was introduced so that matters which could be appealed from the High Court to the Privy Council were limited. Then in 1975 further legislation was introduced to prevent appeals being taken from the High Court to the Privy Council without a certificate from the High Court. This effectively abolished appeals from the High Court to the Privy Council. However appeals directly from State Supreme Courts could still be decided by the Privy Council. The final abolition of Privy Council appeals has had a dramatic effect on the High Court’s own jurisprudence. Many commentators have observed that the abolition did more than formally make the High Court the final court of appeal for all Australian matters. It also contributed to a new judicial mindset. Liberated from the correction of a higher court and then from competition in relation to appeals from state courts, the High Court became the true apex of the Australian hierarchy and took a new responsibility for shaping the law for Australia. The High Court of Australia is now the final court of appeal.